King utlizes 3D and 2D Digital software for print output to produce his works. 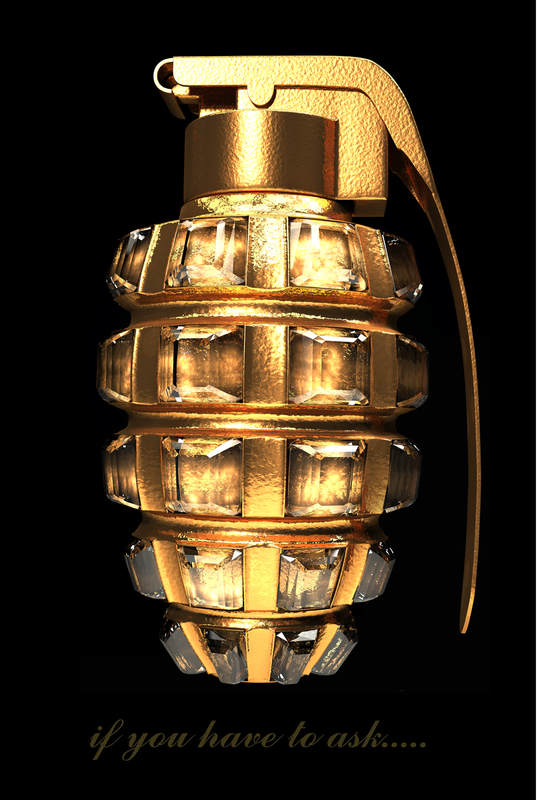 The piece Gem Grenade is a part of a practice in which King prints and collages with the use of laser cutting. The final outcome, is a digital assemblage. Julian King graduated in Fine Art from NCAD in 1985 and completed a MA in Fine Art from NCAD in 2001. Currently King is the course coordinator in IADT Dun Laoghaire for the 3D Design, Model Making & Digital Art Programme.